The poverty debate in India needs to focus more on helping the poor, than projecting a bleeding heart at their plight. From a policy point of view, we should be interested in the efficiency of transferring incomes to the poor. India has suffered two droughts in a row, and there is obvious concern about rural incomes, especially incomes of the poor. To alleviate poverty, Indian governments have experimented with various schemes, and two that have survived the test of time are the public distribution system (PDS) and the MGNREGA. Many programmes and institutions last a long time, but that does not mean they should be persisted with. I have consistently maintained that out of the four most corrupt institutions in the world, three are in India. My ranking of corrupt institutions is as follows. First place to the world football body, Fifa. Not far behind is the Indian cricket body, the BCCI. Third place to the PDS and fourth place belongs to the MGNREGA. In terms of corruption per se, both poverty reduction programmes are equally bad, but the PDS is a much larger corrupt programme and has been there for longer. It is heartening to note that the first two are now universally recognised as corrupt, and acknowledged as such by many judicial systems. The other two, while involving unbridled corruption, have escaped censure for two reasons. First, the programmes are targeted to the poor, and so are “noble” in intent, if not in execution. Second, in a large, diverse country like India, there will be some states where corruption is low and scheme performance is high. This leads the defenders to cite the exception as the rule. 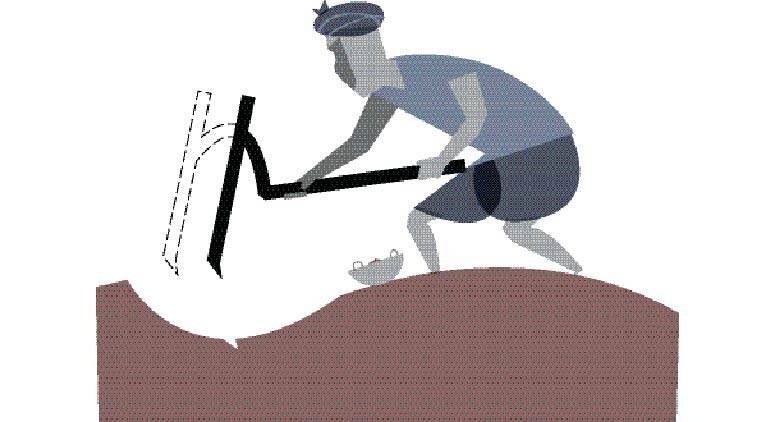 What is the goal of the MGNREGA? To provide income support to any family that seeks jobs that entail “back-breaking” work like digging ditches, construction of roads, etc. The primary target of this programme is very, very poor families. But how well has it succeeded in this objective? Not very, and indeed it is just as good (or, more realistically, bad) as the PDS. How do we know how well the MGNREGA, or for that matter any poverty alleviation programme, is working? Why, by looking at what the government says on the matter. This love and respect for what the government of the day says is so sweet only because it is so rare to hear it from the left intellectuals whose fondness for “in the name of the poor” programmes is only exceeded by the fondness of the Hindu right for preventing people from making choices about their life and what they eat (think beef). The government (ministry of rural development, MoRD) stated that in the first full year of the MGNREGA, 2009-10, a drought year that badly affected poor incomes (like 2015-16), there were 2.84 billion workdays created. Fortunately, we can crosscheck the MoRD claims for 2009-10 with the NSS household survey, which explicitly asked households about the number of days of MGNREGA work the household members obtained. The answer: 1.47 billion workdays or about half (52 per cent) the magnitude claimed by the MoRD. Two points to note about the MGNREGA performance in 2009-10. First, 48 per cent of workdays are ghost days; that is, unaccounted for by households themselves. In other words, while the government has, no doubt, paperwork to support their claims of the MGNREGA work done (and monies paid), the population (middle class, poor or poorest) has no recollection of receiving these MoRD payments. In economic parlance, the ghost jobs are called “leakage”. Political scientists call this the cost of doing business. Sociologists call it good intentions. But wait, of the 52 per cent of workdays that both the NSS and MoRD agree actually happened, what percentage of payments were made to poor households — poor defined according to the Tendulkar poverty line? Only 42 per cent. In other words, 58 per cent of the MGNREGA payments went to the not-poor. For 2011-12, we have the results from the University of Maryland-NCAER household survey. The results of this survey indicate that of every 100 MGNREGA jobs provided, an overwhelming proportion, 75 per cent, went to the not-poor. Note that MGNREGA income to the poor may not be sufficient for them to escape poverty. In NSS 2009-10, the MGNREGA was able to reduce poverty by 2.2 percentage points; in 2011-12, despite reaching a much lower fraction of the poor (25 versus 42 per cent), the Maryland-NCAER study claims that the MGNREGA was able to reduce poverty by 6.7 percentage points. Or more than three times the achievement level reached just two years earlier. We obtain, using the same Maryland-NCAER data, that the MGNREGA was able to reduce poverty by only 1.1 percentage points in 2011-12. One explanation for the large difference in the two estimates of poverty reduction for the same data and the same year is as follows. The poverty reduction effect can be estimated in one of two ways. Either the overall impact of the programme is estimated (that is, how much did expenditures reduce overall poverty; this is our method) or estimate the poverty reduction of the programme only among those who participate in the programme (as apparently done by the Maryland-NCAER study). The 6.7 percentage point reduction is for those households that had some positive MGNREGA payment and were poor to begin with. Such households comprised only 17 per cent of rural households, and for these households, poverty was reduced by 6.7 percentage points. Hence, for all rural households, poverty would have been reduced by (0.067*17) or 1.1 percentage points — exactly what we have stated above. Summarising, the efficacy or poverty reduction capabilities of the MGNREGA, across two different surveys and two different years, is very poor (and hence, it is very corrupt). MGNREGA payments to the deserving poor allowed 16.3 million individuals to become non-poor in 2009-10. The cost of this policy: Rs 24,000 to make one individual not poor for one year. The 2011-12 estimate is almost double that of 2009-10 — approximately Rs 40,500. Indeed, this level is the highest recorded for any poverty alleviation programme in India (PDS or MGNREGA). The average of the two estimates to remove one person from Tendulkar poverty, defined as approximately Rs 10,000 a year, is Rs 32,500 a year. The average poverty gap (difference between average incomes of the poor and the poverty line) is Rs 1,700 a year. The government spends, via the MGNREGA alone, Rs 32,500 a year or 19 times (32,500/1,700) what is needed to make an average poor person non-poor. Stated differently, but equivalently, with perfect targeting (275 million poor receive Rs 1,700 each), the government needs to spend Rs 47,000 crore to eliminate Tendulkar poverty on an annual basis — or about what it spends on the MGNREGA alone. So the next time you defend the MGNREGA, just think of how many poor people can be helped, and by how much, by junking it. Instead, why not provide cash transfers to all the poor rather than just the odd poor person that falls into the well-intentioned MGNREGA net?